Our fans always love jewelry giveaways. 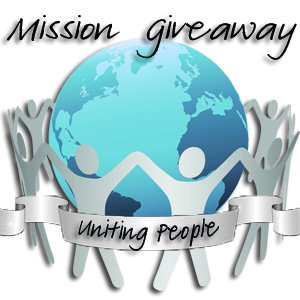 We’re bringing you another awesome Mission Giveaway from pinkEpromise. 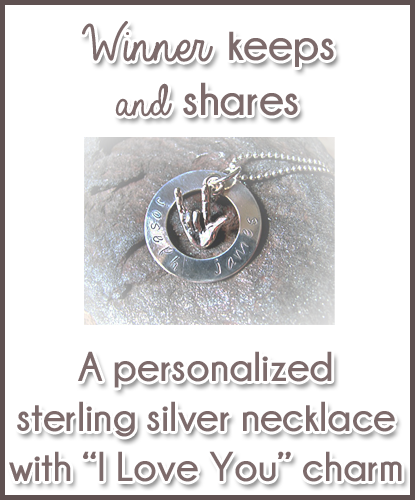 These sterling silver “I Love You” necklaces are simply gorgeous! Enter to win below and be sure to support our sponsor pinkEpromise! pinkEpromise was started when two friends, Blair and Mimi, set out on with mission to beat Blair’s breast cancer! Blair was diagnosed with Breast Cancer at the age of 33 and as a mom with two small boys. She was terrified and endured surgery, chemotherapy and radiation. During all of that, they learned SO much about the human spirit and had immense and appreciated support throughout their journey. The site was developed as a way to raise awareness and money for a special breast cancer foundation. The foundation directly benefits patient healing with spiritual, mental, physical and emotional guidance while they receive their medical care AND get you the BEST DEAL on the most amazing products. Many of them are handmade! pinkEpromise will send 5% of all sales profits to The Healing Consciousness Foundation. You save money AND help The Healing Consciousness Foundation to save lives! It’s a no brainer! You can also find pinkEpromise on Pinterest and Facebook. Be sure to stop by and see what they have to offer. The deals are fantastic and the seeds you sow are forever providing harvest. I love this jewelry and the story behind PinkEPromise! It’s such an awesome story and I’m happy that they could make something so beautiful from such a hard experience. I love this necklace! PinkEPromise has such a great story. Thanks so much for the awesome giveaway! This is such a beautiful necklace. The story touched my heart as my mother passed away from cancer when she was young. It is such a shame when individuals get any sort of disease as no one should have to suffer from anything. I support everything that has to do with cancer. I do not wish this disease or any other disease on any person.